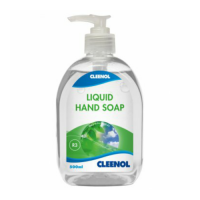 A range of liquid soaps & shower gels in convenient 500ml pump dispenser bottles suitable for self-dispensing. 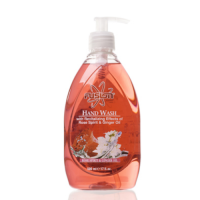 Fusion Rose Spirit & Ginger Oil Liquid Hand Soap is a pleasant smellin..
Fusion Seaweed & Mineral Liquid Hand Soap is a pleasant smelling liqui..
An indulgent foaming hand wash specially formulated and enriched with ..
An indulgent foaming antibacterial hand wash that kills 99.99% of germ.. 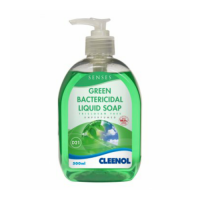 Senses Green Bactericidal Liquid Soap is a quality, Triclosan free, hi.. 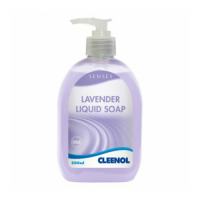 Senses Lavender Liquid Soap is a quality, high viscosity, pearlised ha.. Senses Peach Liquid Soap is a quality, high viscosity, pearlised hand ..
A quality perfumed antibacterial blue liquid hand soap. 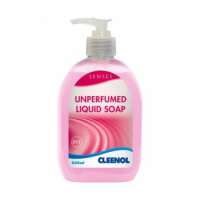 Ideal for use .. 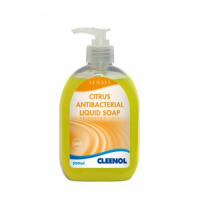 Senses Citrus Bactericidal Liquid Soap is a quality, Triclosan free, h.. 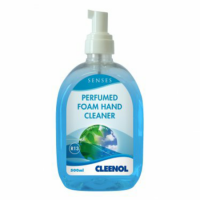 Senses Perfumed Foam Hand Soap is a perfumed foam hand cleaner that is..
A universal soap for all cleaning applications where the need for adde..
Envirological Liquid Hand Soap is a gentle hand cleanser that is formu..